What can you do when your dog has acid reflux? One visitor seeks tips to relieve her dog's condition. My dog has been vomiting and coughing a lot lately. He does have reflux, but it is getting much worse. Any suggestions? It sounds like it's time to take your dog back to the vet for another check up. Acid reflux is sometimes linked to a condition called megaesophagus. This is an enlargement of the esophagus, and it weakens this muscle's ability to move food down the throat to the stomach. This means food build up in the esophagus until it expelled. Although this initially seems like a dog is vomiting, an examination of the contents reveal the vomit is actually undigested food. If this seems to be what is happening to your dog, it's more important than ever to take him back to the vet. If it really is just simple acid reflux, you can try giving your dog a natural product called Manuka Honey. This product is soothing to the esophagus and promotes healing. It also produces no side effects, so unless your dog has diabetes, it is safe to use. Thanks for your question, and I hope you can get your dog's condition under control. 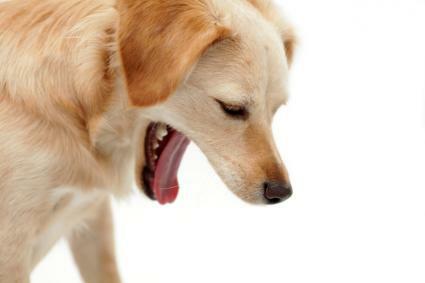 See Canine Acid Reflux to learn more about this condition.